Walter W. Law truly had the Midas touch. Despite his lack of experience as a hotelkeeper, around the turn of the previous century the retired rug company executive decided to construct a mammoth hotel at the highest point on his vast Westchester properties. 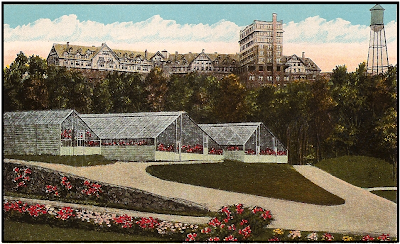 Designed by architect Guy King with sweeping views of the Hudson and the Highlands, the 225-room Briarcliff Lodge opened in 1902 and quickly became America’s premier summer resort destination. Westchester's network of scenic parkways was still a planner's dream. The new-fangled horseless carriages were a toy of the rich, and most lodge guests arrived by train, many to stay all summer. The nearest railroad station was Whitson’s, named for Charles Whitson, a longtime station agent. Walter Law considered the tiny station unsuitable for guests of his luxurious hotel. Placed on a flat car, it was moved to Millwood, where it can still be seen, painted in garish colors now faded and peeling--a forlorn relic of a forgotten era. Its hipped gable roof, deeply bracketed canopies and projecting bay windows are typical of stations along the line of the original New York & Northern Railroad that had served the community since 1881. He replaced it with a station building he considered more appropriate to the Tudor style of his new hotel and changed its name to Briarcliff Manor. Larger than most of the original stations on the Putnam line, it was constructed of concrete with a stucco finish and applied wood half-timbering. Its wood-paneled interior was furnished with amenities such as a round center table, chairs and an oriental rug complementing the traditional passenger benches along the walls. Following the abandonment of the Putnam railroad line in 1958, Briarcliff Manor bought Law’s station to house its public library. Eventually, the collection became hopelessly cramped in its too-small space. Only after New York threatened to revoke the library’s charter did the village expand the former station with an architecturally compatible addition that opened to the public in 2009. Briarcliff Lodge’s own vehicles—first horse-drawn and then motor cars--met trains at the new Briarcliff Manor station of the New York Central’s Putnam Division and at the Scarborough station of the Hudson Division. On arrival at the lodge, guests found a resort the equal of any at the famous watering holes of Europe. 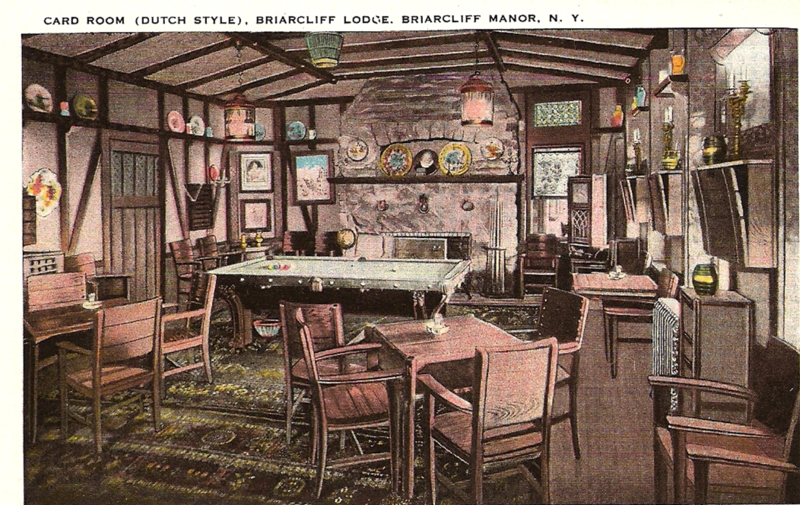 The Briarcliff Lodge was to bring many changes to the sleepy hamlet that became the village of Briarcliff Manor. Aerial view of Briarcliff Lodge. Experienced chefs prepared haute cuisine meals from fruits and vegetables grown in Briarcliff Farms’ own gardens. Briarcliff Table Water was on every table. Perhaps the most famous of lodge chefs was European-trained Maurice LaCroix. Before coming to the lodge, he had worked at the Astor, Belmont, Knickerbocker and Biltmore hotels in New York City. 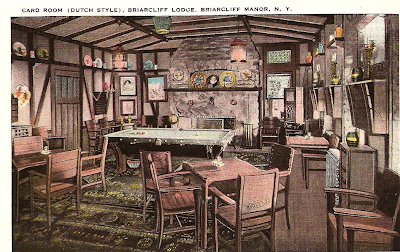 The Card Room at Briarcliff Lodge. Indoor amenities included a music room with a pipe organ, a swimming pool, a small theater, a casino with billiard and pool tables, a library, and a ballroom. Playgrounds, swings and croquet lawns kept children busy. Among outdoor diversions, guests could play tennis on one of the lodge’s 15 tournament-level clay courts or tee off on the lodge’s nine-hole golf course, later enlarged to an 18-hole professional course laid out by noted designer Devereux Emmet. The horsey set could choose a mount from a stable of saddle horses and ride over bucolic back-country roads, while those who preferred shank’s mare could hike over woodland trails. For guests who arrived by their own automobiles, the lodge offered a special dining hall, dressing rooms, smoking rooms and facilities for patrons’ uniformed chauffeurs. The lodge also featured a large parking garage (originally the lodge stables) a fully equipped automobile repair shop. For guests without automobiles, Fiat touring cars and chauffeur-driven limousines were available for hire. 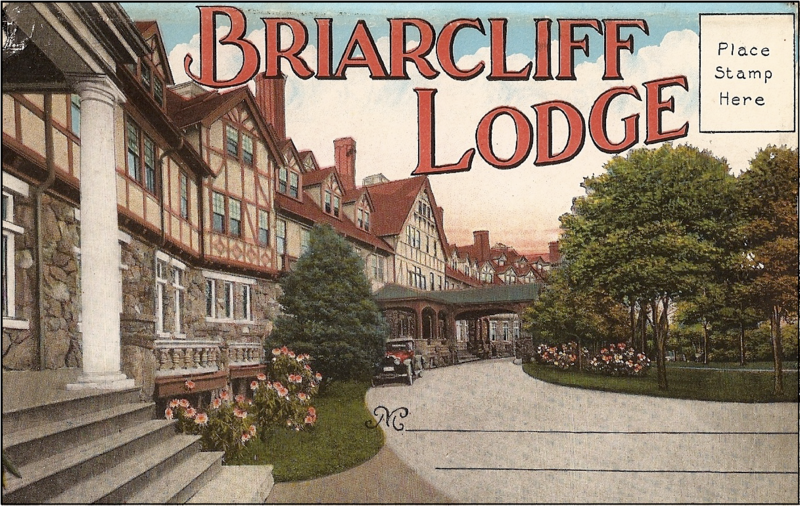 The list of guests who stayed at the Briarcliff Lodge reads like a “Who’s Who” of the early 20th century: From the world of politics, Franklin D. Roosevelt (and Eleanor, of course) and Alfred E. Smith, when each was governor of New York, and Senator Chauncey M. Depew, of Peekskill. From the realm of entertainment, guests included Mary Pickford, Warner Baxter and Tallulah Bankhead, stage actres Sarah Bernhardt, and Madame Ernestine Schumann-Heink, operatic contralto. The Law family ran the hotel until 1923, when Chauncey Depew Steele, former assistant manager of New York’s Algonquin Hotel, signed a 20-year lease for the property. After he added year-round operation, including winter sports, Briarcliff Lodge was advertised as “America’s St. Moritz.” In a snowless January in 1924, gondola cars full of snow were transported from the Adirondacks for a skiing exhibition by the U.S. Olympic team. Walter Law did nothing by halves. Converting the lake near the lodge into a tiled “Roman pool” holding six million gallons of water, he created the world’s largest outdoor swimming pool. Johnny Weissmuller tried out for the 1924 Olympics and demonstrated his freestyle prowess in the Briarcliff Lodge pool. At the summer games in Paris that year, the 20-year-old Weissmuller, who would later make a career out of playing Tarzan roles in films, won three gold medals and a bronze (as a member of the American water polo team). In 1928, at the summer Olympics in Amsterdam, he went on to win two more gold medals. Gertrude Ederle, daughter of a Bronx butcher, also tried out for the 1924 Olympics in the lodge’s pool. Not yet 18, she would win one gold and two bronze medals in Paris. The following year, she turned professional. In 1926 she became the first woman to swim the English Channel, in the process breaking the existing record held by a male swimmer. Wounded by the Great Depression, in 1936 the lodge was leased to Dr. Matthew H. Reaser to operate the Edgewood Park School, a college prep school for girls. The following year, the school bought the lodge and grounds. Failing to meet a mortgage payment in 1954, the Edgewood Park School closed its doors. 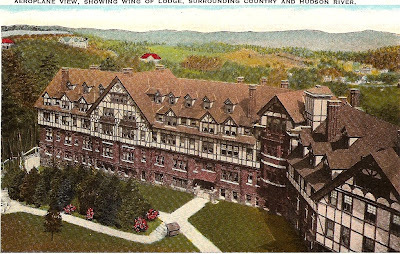 After an abortive attempt by investors to open the lodge again as a hotel, in 1955 the King’s College, a Christian liberal arts college, bought the Briarcliff Lodge for use as the main building of its campus. Several other area buildings were also purchased. Severe financial problems caused the King’s College to close in 1994. It traded the school property in Briarcliff Manor for a lot twice its size in Orange County, but never occupied it. Today, the King’s College unusual campus consists of three floors rented in the Empire State building at the corner of Fifth Avenue and 34th Street in New York City. With a total student body numbering about 300, its students occupy residential dorms in nearby buildings on Sixth Avenue. Plans to develop the lodge as a senior citizen facility fell through, and it and other associated campus buildings built by the King’s College remained shuttered, attractive targets for vandalism. Sad to say, nothing remains of the Briarcliff Lodge today. On Saturday morning, Sept. 20, 2003, a fire broke out in the wood-timbered portion of the massive, sprawling building under suspicious circumstances. The conflagration spread rapidly, causing a major portion of the 101-year-old structure to be destroyed. The remaining portion of the lodge and other campus buildings were later demolished. 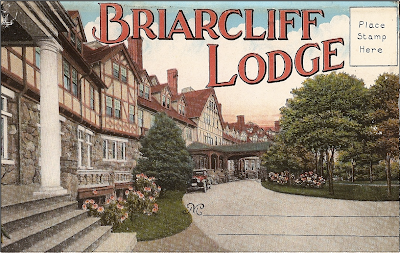 With the exception of its foundation, all traces of the once-proud Briarcliff Lodge are gone. Walter Law’s stone mansion, which had served as a 30-room men’s dormitory, was restored and sold as a private residence. Funeral services were to be held on Sunday, Jan. 20 at the Briarcliff Congregational Church. Mr. Law was survived by two sons, Walter W. Law, Jr., former chairman of the State Tax Commission in the early 1920s, and Henry H. Law, and three married daughters. The only mention of Walter Law’s burial place to be found anywhere was in A History of Briarcliff Manor, by the Rev. Robert B. Pattison, reprinted in 1939 from The Briarcliff Weekly. In it, Pattison wrote that Law and his wife who predeceased him in 1910 were buried in Woodland Cemetery. Unfortunately, there is no community named Somerville in North Carolina and no Woodland Cemetery locally. Woodlawn Cemetery in the Bronx, however, holds the ornate mausoleums of many American retail tycoons, such as F.W. Woolworth, J.C. Penney, S.H. Kress and Franklin Simon. Wouldn’t Woodlawn be a logical burial place for a kingpin in the Sloane retail empire? Moreover, changing only one letter transforms Woodland into Woodlawn. A phone call to Woodlawn Cemetery elicited a positive response. “Yes, Walter W. Law, deceased in 1924, is buried here. We show his last address as Summerville, South Carolina. He’s buried in the Prospect Plot.” The Prospect Plot turned out to be as big as two football fields. At long last, the forgotten last resting place of Walter W. Law and members of his family had been found, another piece in a tantalizing historical puzzle. But his definitive biography and an in-depth history of his many enterprises still remain to be written.